Your venues and tiers can be specially configured for each event on the “edit event” screen as well as on the “Registrations” tab “Event options” dropdown. You can now manage registrations divided up by each of your venues/tiers in the backend as well as manage all registrations for an event and any registrations that have not been assigned to a specific group yet. 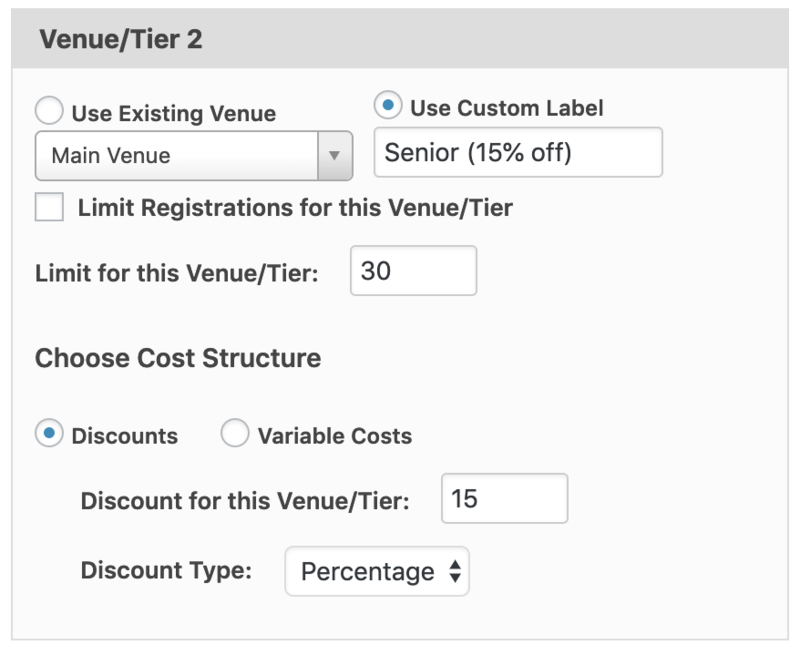 You can either vary the cost by having the venue/tier selection discount the event price or by setting a completely different price. These settings are found by revealing the cost settings. 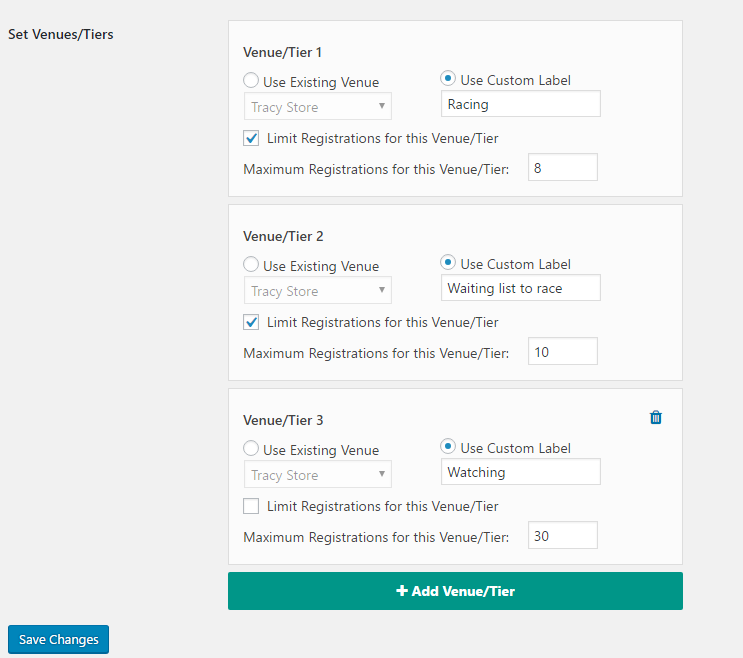 Your visitors can now select from one of your tiers as long as the limit hasn’t been reached. 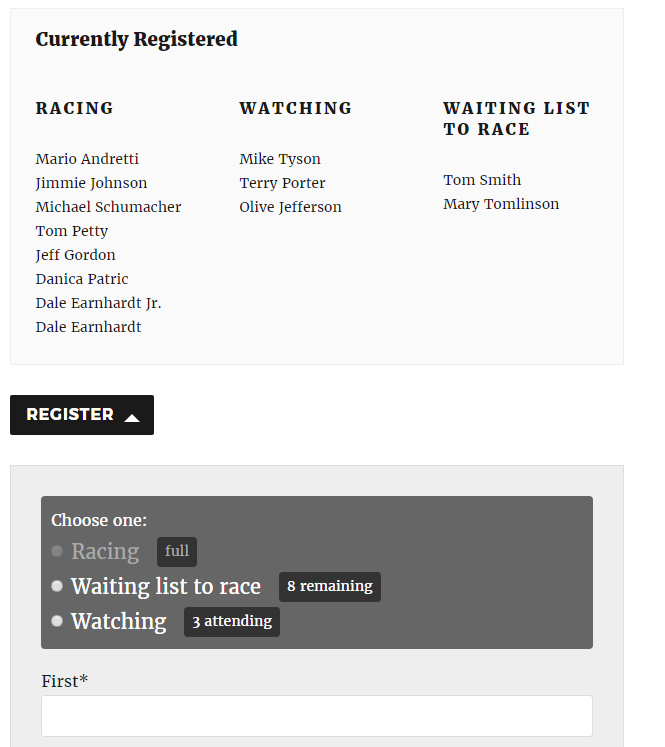 Check the box to show your attendee list above the form to have your registrants along with their chosen tier displayed. Only confirmed guests will be shown here. Note: Making changes to the Venues/Tiers after registrations have been made may require some manual reassignment. You can reset the attendance count by adding, editing, or deleting registrations manually for an event.